Pour mieux connaître les auteurs, les ouvrages et les avis de la presse et des lecteurs : www.paperplanes.fr. Pour chaque ouvrage acheté, une version audio mp3 est téléchargeable gratuitement sur le site. TWO KINDS OF DYING - Historical FictionNormandy, 1940. Two young English soldiers find themselves plunged into war as France succumbs to the German army's blitzkrieg. Inexperienced and ill-equipped, they are soon taken prisoner. But this is just the start of their story as they are forced to march east accross the country toward the prison camp that waits for them in Poland. 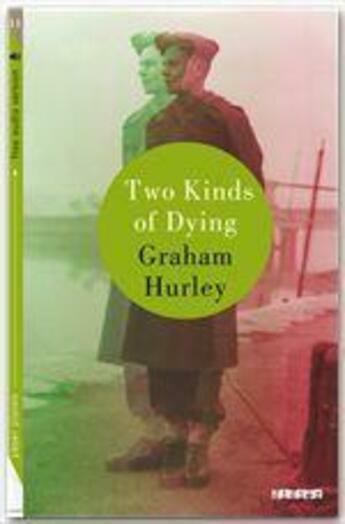 A powerful war story, written with incredible authenticity by best-selling crime author Graham Hurley, whose novels have been adapted by France 2 for the 2012 series Deux Flics sur les Docks.